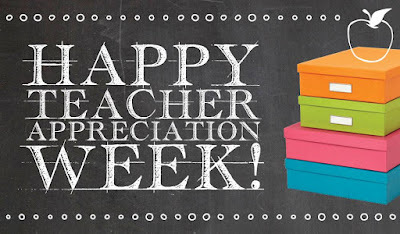 May 7th – 11th is Teacher Appreciation Week (with May 8th being Teacher Appreciation Day)! 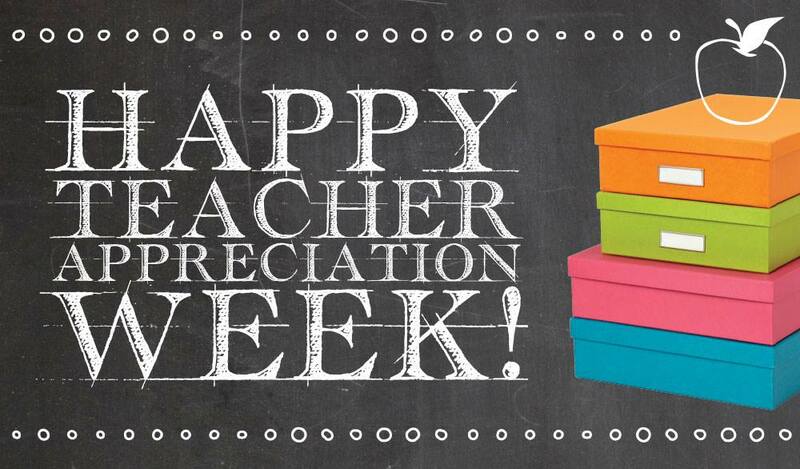 Check out these Awesome Freebies and Deals (Year-Round) for Teachers! 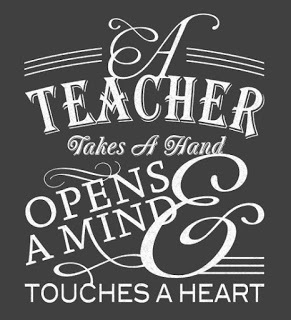 Chipotle - In honor of Teacher Appreciation Day, stop by from 3pm to close on Tuesday, May 8th, 2018, with your faculty ID, and they will hook you up with a BUY-ONE/GET-ONE FREE burrito, bowl, salad, or order of tacos. Valid in-restaurant only. Valid only on Tuesday, May 8, 2018 between 3pm and close at participating U.S. and Canada locations. Hooked on Phonics - Teachers get a free one year subscription to Hooked on Phonics (a $39.99 value) between May 8-12, 2018 only. 1-800-Flowers - NEA members save 20% at 1-800-Flowers – just sign into your NEA account to access the discount. A.C. Moore - To receive a teacher’s discount (15% off your entire purchase - including sale items too! ), simply present one of the following credentials at checkout: State Issued Photo ID, School ID, Home School Affidavit or IHIP approval letter from School District or your state, Home Schooling Certificate, or State Issued Preschool/Daycare Facility Certificate/License. A.C. Moore suggests asking your store in advance or email CustomerService@acmoore.com to find out more details about the program. Adobe Education Store - Save up to 75% on Adobe products if you are a student or for personal use by teachers, administrators, and school staff on their personally owned computers. Alamo Rental Car - Are you a member of the NEA? Just flash your credentials to receive an upgrade on your rented car. Ann Taylor Loft - Register as an Ann Taylor Loft teacher to receive 15% off your full-price purchase in-store, everyday! Offer must be presented at time of purchase and you must show a valid Teacher ID. Apple Store - Apple offers special education pricing on Apple computers, software and select third party products to college students, parents buying for a college student, or teachers, homeschool teachers, administrators and staff of all grade levels. Students who have been accepted to college are also eligible. AT&T - Employees and students at certain colleges and universities are eligible for AT&T’s Signature Program, which offers savings on qualified AT&T wireless service. Avis - Teachers can save 25 percent on car rentals when making a reservation with Avis Worldwide Discount number D134120. Banana Republic - All teachers receive 15% off any in-store purchase with a valid school ID. This applies to full-price items only. Barnes & Noble - All year-round, save 20% off the publisher’s list price on all purchases for classroom use, plus get up to 25% off the publisher’s list price during Educator Appreciation Days and receive valuable email offers and information on special Educator events. Big Lots - Big Lots offers special teacher discounts, contests, and giveaways. When you sign up for their email, be sure to check the “email me about teacher-only specials” box. Bonobos - College and K-12 teachers can get a 15 percent discount when they verify with Bonobos through SheerID. Books-A-Million - Educators simply have to complete a BAM! Educator Discount Card application at any register and present valid educator and photo identification to receive their BAM! Educator Discount Card and start saving. The FREE BAM! Educator Discount Card offers educators, librarians and homeschoolers – Pre-Kindergarten through 12th Grade – a 20% discount off the original price on most books used in the classroom. Bose - Educators can receive up to 15 percent off of Bose products, including headphones and speakers, through the company’s “Educators’ Program.” Savings are available only by phone. Budget - Teachers can enjoy savings of up to 25 percent off Budget base rates when renting a vehicle from a participating location in the contiguous U.S. and Canada. To receive the discount, use Budget Customer Discount number Z408915. The Container Store - They offer educators special discounts throughout the year to help organize your classroom! Just complete the form to receive your first offer, redeemable in-store, online or by phone. Program ends December 31, 2018. Costco - U.S. teachers who sign up for a new membership online will receive over $60 in exclusive savings. Crayola - Sign up for the email program and receive 10% off your first purchase and additional offers. Plus, you’ll have access to lesson plans, activity sheets, and more. Dollar Tree - Teachers receive a 10% discount when they show identification. FedEx - FedEx Office is pleased to offer teachers, professors, faculty and staff members 15% off on most products and services at participating FedEx Office nationwide. To receive your discount, simply present your discount card when making a purchase in-store or at fedexoffice.com and the discount will automatically be applied. GMC Vehicles - The GM Educator Discount gives current employees of a public school, private school, college or university special pricing below MSRP on the purchase or lease of eligible new Chevrolet, Buick or GMC vehicles. Half Price Books - Apply for a teacher discount card to save 10% on your purchases at Half Price Books. Just bring in valid ID and proof of current employment such as a pay stub or employee ID card. Hanes - Teachers and retired educators can save 10 percent on purchases from Hanes.com, Champion.com, OneHanesPlace.com and JustMySize.com. Hobby Lobby - Hobby Lobby offers a special 10% discount on merchandise sold to churches, schools and national charitable organizations when they purchase items with an organizational check or credit card. Please see your local store manager in regards to obtaining this discount. HP Home and Office - Sign up for their exclusive educator discounts on HP’s most popular products. J.Crew - All teachers receive 15% off any in-store purchase with a valid school ID. This applies to full-price items only. JoAnn Fabrics - Free discount card for 15% off every purchase (excludes remnants, patterns, gift cards, and previous purchases). Bonus coupon for 20% off any one total purchase when you enroll or re-enroll in the program. More of their popular, money-saving coupons as a Jo-Ann Preferred Customer. Lakeshore Learning - Join the Lakeshore Learning Teacher’s Club and receive 15% off on hundreds of classroom items every day plus enjoy special offers every month. Lenovo - Lenovo’s Academic Purchase Program assists students and faculty to find discount laptops, tablets, and desktop computers. Michael's - All teachers receive 15% off their in-store purchase with valid school ID. Some exclusions apply – please see store associate for details. National Parks Service - Did you know that the National Parks Service offers a ton of materials that you can borrow? From DVD sets to games and hands-on “Field Trips in a Box,” they will loan you great material for your classroom. Office Depot/Office Max - Teachers make a purchase of qualifying school supplies, provide their school ID at checkout and their designated school will receive 5% back in credits for FREE supplies! Party City - Party City offers a 10-20% school/non-profit discount (depending on the size of your purchase). Just provide them with a letter, signed by an officer of your school or organization on official letterhead and pay with a check or credit card in the name of the company or organization. Scholastic Teacher’s Store - Scholastic offers a special online store for teachers with terrific discounts, up to 75% off! Staples - Staples offers a special Rewards program for educators. Plus, Staples Rewards members who have linked to a teacher’s Teacher Rewards account will earn an extra 2% back in rewards on everything they purchase at Staples (except postage, phone/gift cards, savings passes, purchases made on third-party Web sites, taxes and delivery fees) for the teacher of their choice. Teacher Rewards members will receive the extra rewards in their account. T-Mobile - U.S. college students and staff can receive $100 off a smartphone or tablet when they activate a new line. The offer is only available by phone. Walt Disney World Swan & Dolphin Resort - The Walt Disney World Swan and Dolphin Resort offers teachers and all school support staff a very special room rate. Keep in mind that all these offers are subject to change or may vary in participation. I always suggest calling in advance to verify participation. 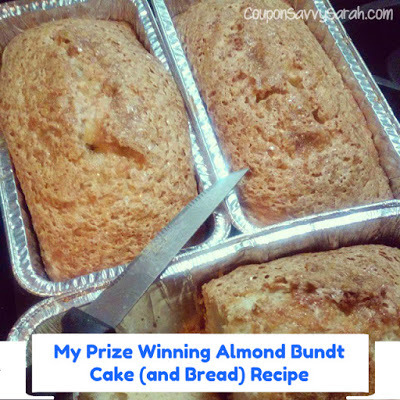 Make a loaf of my special Almond Bread - It's always a HIT with everyone! !